Cross-docking is a logistical strategy used to simplify a company’s warehouse and distribution efforts, ultimately increasing the efficiency of the organization. Instead of storing products and materials for long periods of times during transportation and distribution, the cross-docking strategy moves items from one inbound source (like a truck or railcar) and immediately moves them onto outbound transportation. Instead of shipping products straight to the retailer, cross-docking has all the suppliers bringing products one central location to be sorted. Items are sorted depending on type or destination, and then shipped to where they need to go. Prior to cross-docking, a company would need to have multiple suppliers or sources bringing each product to their retail store, represented on the right side of the image. A single truck would need to make three different stops to unload their products and materials, wasting resources while increasing the amount of storage time. The goal of cross-docking is to reduce the amount of storage time between the inbound and outbound transportation; excess storage time can reduce the value of a product and can introduce the risk of becoming undesirable by the customer. 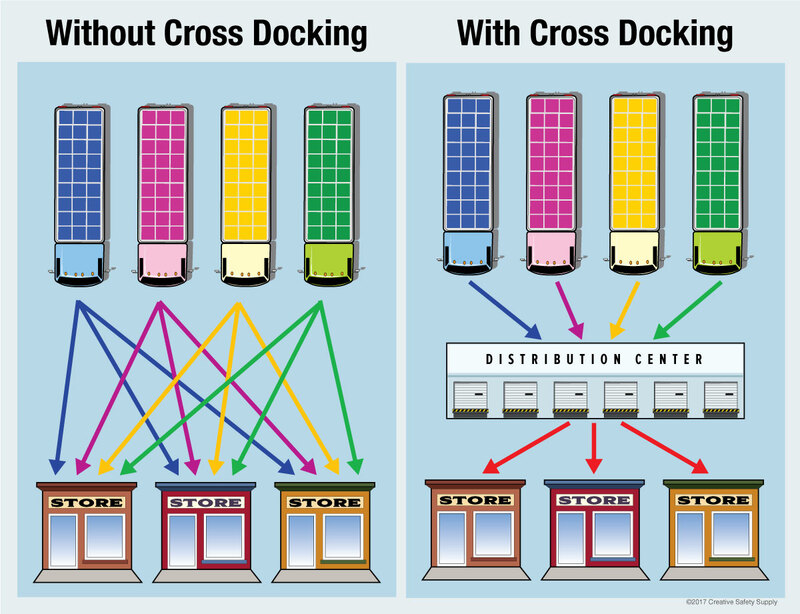 The other side of the image represents the flow of transportation when cross-docking is utilized. Inbound items arrive from transportation and are allocated to a receiving dock, this is one side of the cross dock. They are then unloaded, sorted and screened to identify their end destination. Using a forklift, pallet truck, or conveyor belt, the items being are then moved directly to the outbound dock. From the dock, products are reloaded onto transportation and they are set off to either the retail store or directly to the customer. While cross-docking is mostly used to handle incoming and outgoing items for multiple locations, facilities have found success in improving internal cross-docking station. 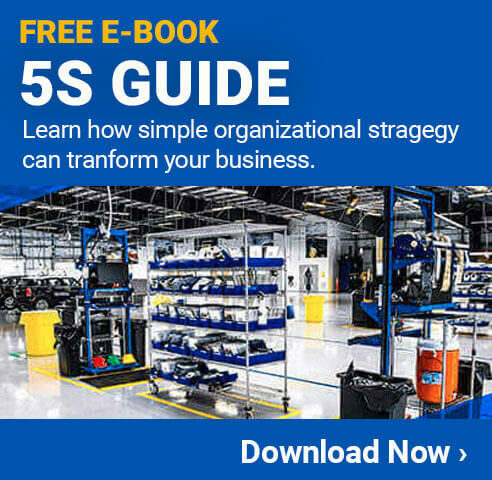 Essentially, an internal cross-docking station is set up and supplies are brought into one side of the station and employees pick the, up on the other side as needed. Using cross-docking can give organizations a competitive edge by improving productivity within the supply chain. Cross-docking relies on having a central site for products to be sorted and grouped together for transporting to multiple destinations, often the most productive and fasted method for distribution. There are a number of problems that can be avoided when using cross-docking including products dropping in value, unexpected changes in demand, damages or theft. Cross-docking can give the retailer much more control over which store is going to get which products and companies can direct product levels at a more detailed level.